Terry William Rozier III is an American professional basketball player who plays for the Boston Celtics of the National Basketball Association (NBA). Rozier attended Shaker Heights High School in Shaker Heights, Ohio and graduated in 2012. He averaged 25.6 points, 6.5 rebounds, 4.5 assists and 4.7 steals per game in his senior year, leading the Shakers to a 21–3 record and thus helped the team in reaching their first regional since 2002. For three years, Rozier was named as an All-Lake Erie League player and was rated 74th overall in the 2012 ESPNU Top 100 players. Rozier played for Hargrave Military Academy in 2012–13 season. He averaged 29.3 points, 7.8 rebounds, and 5.6 assists while the team went 38–8. He was named the 2012 Kentucky Derby Festival Basketball Classic MVP and also came second in the dunk and three-point contests. Rozier joined Louisville in 2013-14. As a freshman, Rozier made the AAC All-Rookie Team averaging 7.0 points and 3.1 rebounds in 37 games. He led the Cardinals in scoring as a sophomore with 17.1 points per game and was named second-team All-ACC in the 2014-15 season. Rozier was selected as the 16th overall pick in the 2015 NBA Draft by the Boston Celtics. Heading into his rookie season, Rozier’s style of playing drew comparisons with Damian Lillard. He had a breakout year in the 2017-18 season. 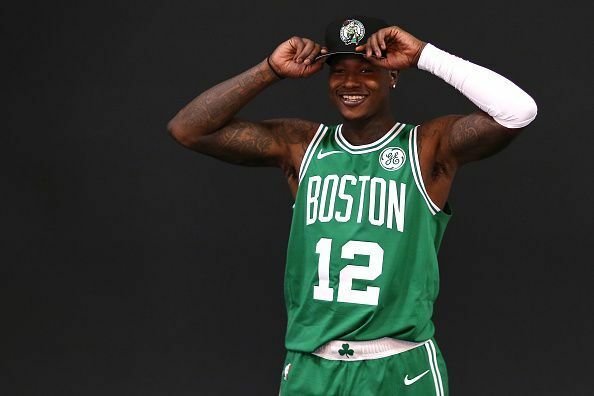 In his first NBA start, Rozier logged his first career triple-double with 17 points, 11 rebounds, and 10 assists and helped the Celtics to a 103–73 victory over the New York Knicks. With this performance, he became just the second player in NBA history with a triple-double in his first start. Starting in place of the injured Kyrie Irving, Rozier scored a career-high 33 points along with 5 rebounds and 3 assists in a 104–93 win over the Sacramento Kings. He shot 12 of 16 from the field, including 8 of 12 from beyond the arc. With Irving sidelined for the rest of the season, Rozier came on his own and into the spotlight as he increased the level of his game in the 2018 Playoffs. He averaged 16.5 points, 5.7 assists and 5.3 rebounds for the playoffs as the Celtics, after a deep playoff run, finally bowed down to LeBron James and the Cleveland Cavaliers in seven games in the Eastern Conference Finals.